Where Do I Upload Images? 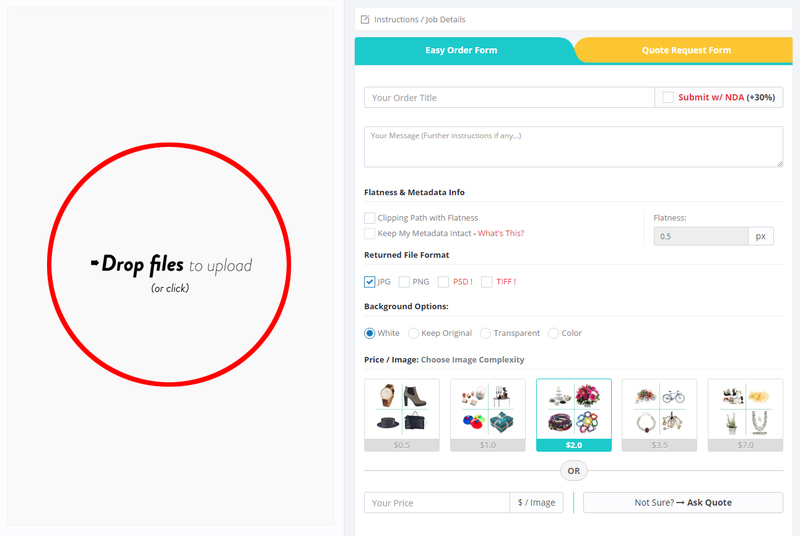 Everything is mentioned inside the service portal where while creating the order, you need to upload the images. Please see the screen below and you will need to upload the images in the mentioned sections. You can simply click on it to select images from your computer or just “Drag & Drop” files or folders in it. Please Note: If you drop a folder all the files in it or its sub-directory will be added but the folder structure will not be maintain in the final order delivery.